This interview was originally done for the 'zine The Stormer (Italy). I first heard Block 11 around 2012 and was thoroughly impressed. I purchased a few of their CDs, the first being 'Here We Are', which features the SUPERB track 'The Colours of My Battle'. The other CD 'Last Act of War' has a Skrewdriver remake called 'Patriot', which has to be one of the coolest songs ever. Block 11 made it their own. It is an anthem for our fight. Unfortunately their CDs might be difficult to get these days and surprisingly YouTube offers very little. 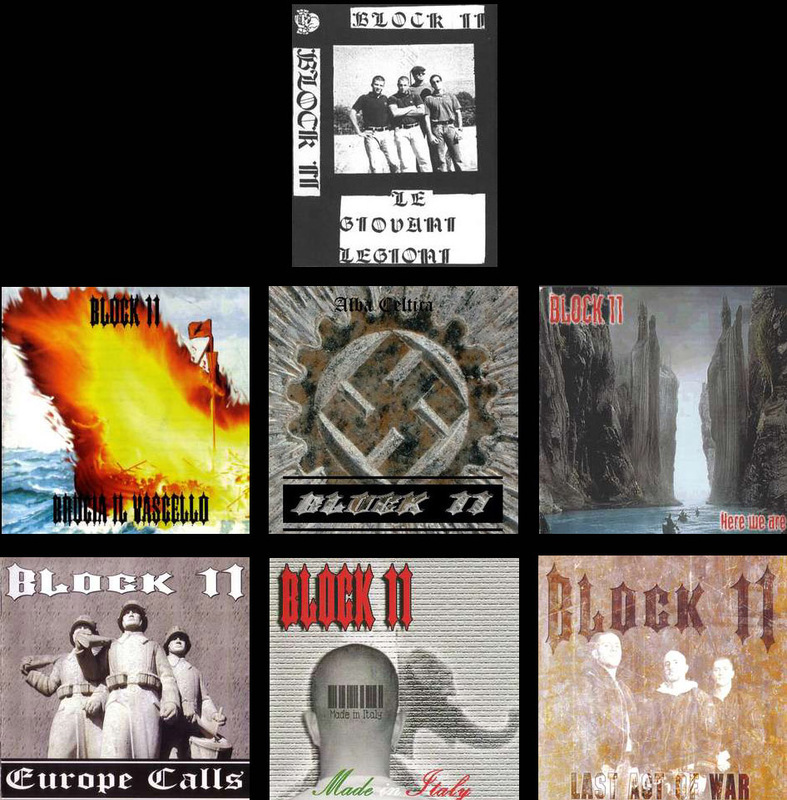 Out of all the overlooked bands in this world, Block 11 is one of my favorites of all time. I may post the two songs mentioned on the Mourning the Ancient YouTube channel, if readers show interest. The interview below is very simple, but it represents one of the only interviews I've ever found of Block 11. I was lucky enough to meet the editor of The Stormer 'zine, and it turns out he used to know the guys of Block 11, there in Italy. So, this interview represents a glorious R.A.C. band, nearly forgotten, but hopefully not for long. I'll sing their praises and maybe even win a couple of you over. Don't deny yourself a chance to hear these songs! *Special thanks to the editor for permission to reprint this interview! Can you begin with a small bio for the readers? What is your current line-up? The band is one of the older ones in Italy, we started in 1992 and we have had various members during the last 9 years; we have only changed drummers of Block 11 since 1994. Actually, we have recently found a young drummer and we are now 3: Salvo (bass), Alex (guitar) and Mario (drums). Can you tell me more about your new CD 'Made in Italy'? Why did you choose this title? Made in Italy was chosen because we wanted an international name on the front cover. After a title in the English language (Here We Are), we wanted a CD with an Italian name, 'Made in Italy' is the right balance between Italy and the rest of the world. We are Italian and we don't want anyone deleting our history and our traditions. 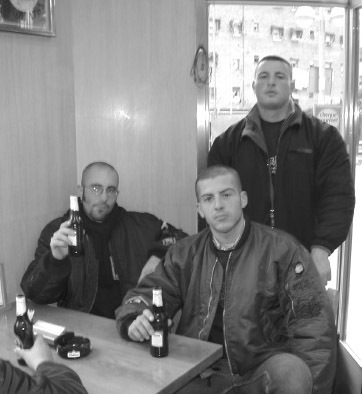 Nationalist pride is the first rule of a Skin Head. On the CD you'll find all news songs that are very different from our previous songs, there are a few metal songs and one ballad too. We think this is our best album yet; listen to it! How many gigs have you played? Do you have a lot of opportunities to play live in the South of Italy? We have been unlucky to have only played a few gigs, 8 or 9, I don't really remember. Whether this is because of our geographical location or our music, we don't know. I hope this latest CD 'Made in Italy' gets more exposure in Europe and increases our opportunities. We've had two or three gigs here in my town, which have had very good attendance and good organization. I hope next year we'll increase the number of the gigs here in Catania and in the South of Italy. Could you explain to us what the elephant on the cover of 'Made in Italy' means? Also on the back there is a photo of a woman, who is she? The elephant printed on the front cover was our idea, this is the symbol of our town Catania (as the bear in Barcelona or the wolf in Rome). As for the back cover there was a misunderstanding with the label, because they selected a photo for the cover of our two Spanish friends (Salute to Roberto & Mariola) and not the right image we sent to them. Although you are one of the older Italian bands nowadays, in my opinion you haven't gotten much attention in Italy. What do you think was the reason for this? As I mentioned when you asked us about our gigs, we don't know the real cause of this lack of attention to our band. Perhaps it is our geographical location in the South of Italy? But I think that inviting a German or a Greek band here is more expensive than calling only three people from only 1000 Km away from the North... We'll continue to play in the South, it's not a problem for us, we believe in Italian pride and solidarity such as our real history has taught us. How has the previous album 'Here We Are' been selling and how has the response been? This last album was the best one for us, as I've told you in a previous answer. 'Here We Are' was the result of 5 years of silence from us and a not-so-solid line up; we have changed three drummers that have influenced us with their rhythms and timing. You'll find on it different kinds of music, generated in very different periods with different drummers and drums, in fact, this is not homogeneous, but we like it so. Every album is the result of your way of life at that moment. The previous album had a good response and sold about 1500 copies, but I hope this was only the beginning. Why have you chosen to sign to Pit Records (France)? Do you think that Italian bands should sign to Italian labels to have more advantages? We had played for five years and we had about 20 new songs and Italian labels were busy in that period. Salvo listened to a CD released by Pit Records and it had good artwork and good music. We wrote the label but they said they release French bands only, but after a month or two, we don't remember exactly, they wrote us back looking for a demo tape containing some new songs of Block 11. They listened to our music and they liked it, so after various correspondence 'Here We Are' was born, a title chosen to remind the world that our band still lives! For the rest we have no other need from Italian labels, our second album arrived very quickly and was produced by friends of Pit Records. Thanks a lot Oliver and family. There are a massive amount of R.A.C. bands around these days. What is your opinion? Which bands do you like? There are both new and young bands, some are the results of members of other old bands, others are new ones altogether. 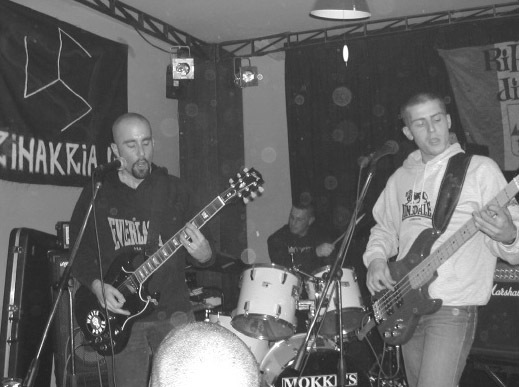 We remember that some years ago there were a lot of new bands, but few were good players and lasting (some months). 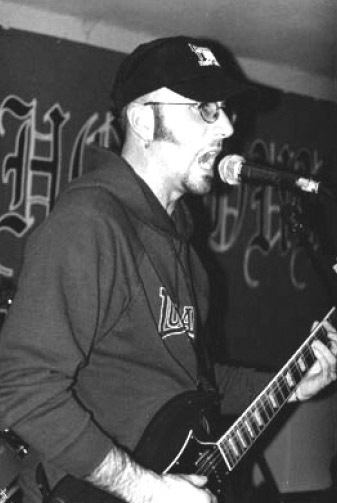 We like melodic and fast bands like Mistreat, Landser and Legion of S. George. We also appreciate some American bands like old Max Resist and Bound for Glory. Australian Fortress are good too. Some personal questions: What do you do besides the band? Do you support any party or organization in your area? We all work besides playing with Block 11. Alex works with computers in a shop, Salvo is a civil engineer and he works in the field of security, only young Mario has just finished his studies and is now relaxing for the long hot summer. We have no party, we have our ideals that are too far from the political organizations of our town, but we of course help our comrades which work inside Right parties and they help us when it is necessary. I read some time ago that your city (Catania) is a 'living paradise' for gays. Is this true? What is your opinion? What is available from your catalog? We would like to play around Italy and Europe if it is possible and release a new CD for the new year. Thanks a lot for your interview and for your interest in our band. See you soon! This is your land, let's stop immigration! Now is your time, now is your past! White is the colour of my battle, white is my skin, white is my struggle! Red is the colour of my battle, red is the blood shed in my life's struggle! Black is the colour of my battle, black was the shirt that dressed my hate! You are like a wolf, ungry for the blood! Smashing their faces with kicks and fists! *Block 11 was the name of a brick building in the Auschwitz concentration camp. So the fairy tale goes, it was a place where bad boys were tortured and even killed... a magical place where unicorns and leprechauns frolicked. Where mighty dragons nested on the rooftops and gay fairies danced in the freshy cut grass. A place of... wait, I'm getting ahead of myself here. I just thought I'd spice up the rather boring Jewish fairy tale.